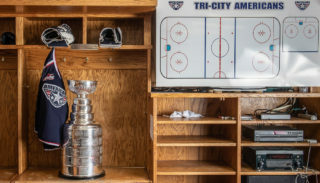 KENNEWICK, WA – This season, the Tri-City Americans, inspired by their team captain Kruise Reddck, are proud to announce the return of a fundraising program for the Muscular Dystrophy Association, the ‘Kruisen’ for MDA’ Challenge. 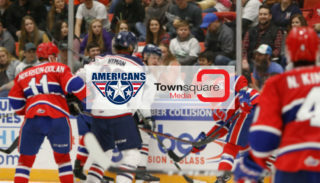 Just the sixth Americans’ player to appear in over 300 games in his career with Tri-City, Reddick is graciously donating $2 for every goal the Tri-City Americans score during the regular season. 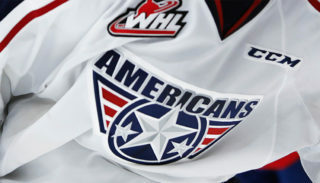 In turn, the Americans have chosen to match his donation, dollar-for-dollar, throughout the 2010-11 regular season. 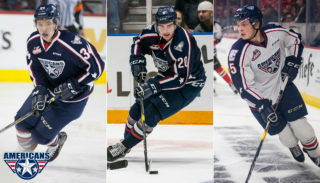 Now 64 games into the season, the Americans have scored 256 goals, meaning that Reddick and the club have raised $1,024 thus far. With less than two weeks remaining in the regular season, Kruise has also issued a challenge to fans and businesses throughout the region to join his cause. People can pledge to donate an amount based on their favorite player’s performance, or based on the result of the entire team. Fans can also simply make a flat-rate donation to the cause. Those that would like to donate to the ‘Kruisen’ for MDA’ Challenge can contact the Tri-City Americans office, located on the bottom level at the Toyota Center, by calling 509.736.0606 or by stopping by during regular business hours. The Muscular Dystrophy Association (MDA) is a voluntary health agency — a dedicated partnership between scientists and concerned citizens aimed at conquering neuromuscular diseases that affect more than a one million Americans. MDA combats neuromuscular diseases through programs of worldwide research, comprehensive medical and community services, and far-reaching professional and public health education. With national headquarters in Tucson, MDA has more than 200 offices across the country, sponsors 225 hospital-affiliated clinics and supports nearly 400 research projects around the world. The Association’s programs are funded almost entirely by individual private contributors. MDA seeks no government grants, United Way funding or fees from those it serves. MDA supports more research on neuromuscular diseases than any other private-sector organization in the world. MDA scientists are in the forefront of gene therapy research and have uncovered the genetic defects responsible for several forms of muscular dystrophy, Charcot-Marie-Tooth disease, a form of amyotrophic lateral sclerosis (ALS, or Lou Gehrig’s disease), childhood spinal muscular atrophy, and several other neuromuscular conditions.